Fitness gyms have now become popular places to network. Personally, I have made friends and business contacts in gyms with people that I won’t usually meet in my own professional circle. If networking will be one of your purposes in going to the gym, aside from staying fit of course, here are some of the things you should and should not do. 1. Do go to the right gym. You have to go to the gym where the people you want to network with are going. If you’re looking for business or career opportunities, going to a gym frequented by students or competitive bodybuilders will not help. 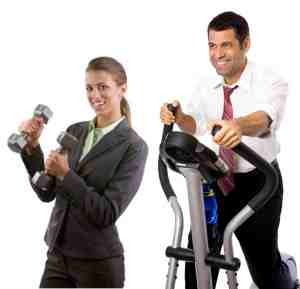 Go to gyms that are located in business districts or in office buildings. There are gyms that have tie ups with corporations. A gym membership that allows you to go to many gym branches is better since you’ll be able to cast a wider net. 2. Do join group classes. Shared activities leads to more bonding between members. Don’t allow yourself to be labeled as a member of a particular clique in the gym though or it may limit your networking opportunities. 3. Do go at the right time. Though it is most convenient to go to a gym a non-peak hours, chances are, the potential for networking will be much less. The gyms will usually be full of people you want to network with after office hours; but come to think of it, while in a long queue for the treadmill, there’s more time to chat up the others in line. 4. Do focus on your workout. The people who take gymming seriously – those types who plan their workouts, have logbooks, and bring their equipment and supplements – as long as their not “in your face” obnoxious, often get the right attention. If someone devotes time and effort in planning and executing his/her workouts, people around them will assume that they’ll do the same with their work. If you make it known that you have a good workout ethic, your prospects in the gym may conclude that you have a good work ethic as well. 5. Do make friends with the gym staff. Because the members will need to talk to them at some point, the staff will be the most popular people in the gym. The staff will also know details about other members, so if you want to network with people from a certain industry (e.g. finance) or a certain corporation, the staff can facilitate it. 6. Do provide a clue about what you do. Other members will not be able to determine what industry or company you belong to by just eyeing you. You have to provide a hint. If you wear something to the gym that have some kind of corporate logo or is a souvenir of a corporate sponsored fitness activity, it may help break the ice. 7. Do bring a business card. Despite the prevalence of social media, the business card still has an important place in networking. If you meet someone at the gym, it will probably be too forward if you ask him/her to type in his/her digits in your phone. The same goes for asking him/her to “friend” or follow you in your facebook, twitter or instagram accounts. 8. Do respect other members’ “space”. 1. Don’t be obnoxious. If you’re the type who talks loudly on your phone, hogs all the equipment and leave your sweat everywhere, chances are other members will despise you. Your networking opportunity will be much less or even non-existent. 2. Don’t be a perv. The gym is where people wear revealing or tight fitting outfits. If you gawk and stare too much, your chances at networking will be slim. 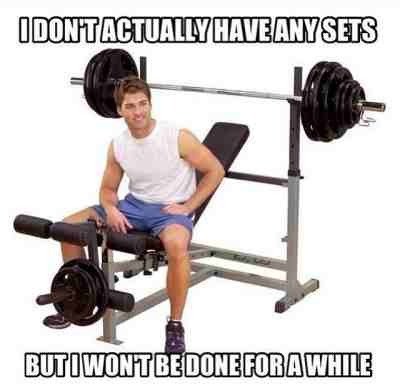 Obviously, any acts of impropriety will forever taint your image in your gym. 3. Don’t be a flirt. You have to decide whether your purpose is to get dates or network. You can’t have both. 4. Don’t be pushy. The main purpose of people in going to the gym is to workout. That should be your purpose as well. 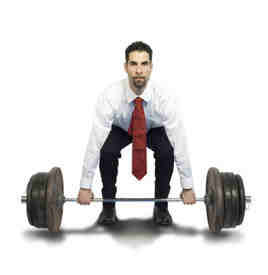 If you are still not convinced about networking opportunities at the gym, read this Forbes article here. If you have been trying to network at the gym, but have not been successful, cheer up. At least you’re fitter now.